Knowing the symptoms of a detached retina may save your vision or the vision of someone else. 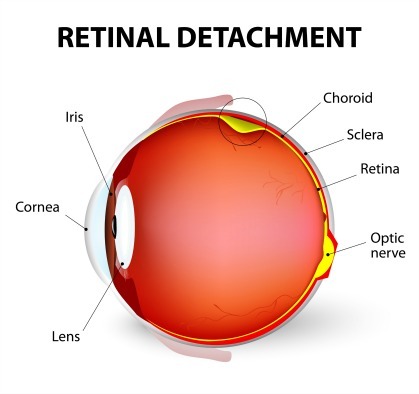 A retinal detachment can lead to permanent loss of vision. Many years ago my uncle noticed that it seemed like a window shade had been pulled over part of his right eye. He called his eye doctor to make an appointment. The scheduler not recognizing it was an emergency, scheduled him several days out. It was a retinal detachment and the delay in treatment caused him his vision in that eye. The most important issue for you as a reader is to recognize the symptoms of a detached retina and then to seek immediate care. Eye floaters appear as little strands or debris floating around in one's vision. The increase can be gradual or sudden. But a sudden increase requires a visit to an eye doctor. Flashes appear as sudden little bursts of light - kind of like the light one sees from a sparkler or lightning. It quickly comes and goes. Sometimes a person may have them but not notice them during the middle of the day. My husband was aware of these sparks of light when he left for work in the early morning when it was still dark outside, but not the rest of the day. 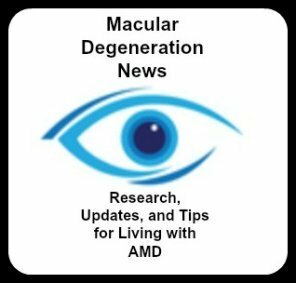 We contacted his eye doctor right away and he was checked out by an ophthalmologist and retina specialist and was found to have a post vitreous detachment that resolved without treatment. Usually the vision loss starts in the corner of one's vision which is not as noticeable as in one's central vision. As the detachment progresses or spreads the shadow or darkness will cover a larger field of vision and may eventually reach the macula, which gives us our straight ahead vision. Some people describe it like a shadow in their field of vision or as if someone has pulled a shade down over a portion of their eye. As the retina separates from it's normally flat position, vision becomes blurred and does not appear sharp and distinct. Pain in the eye or double vision are not symptoms of a detached retina. Symptoms of a detached retina can come on slowly or very suddenly depending on how fast the retina separates from the retinal pigment epithelium (RPE). When the retina separates and lifts up from the layer beneath it, it can no longer function. The lost contact with the RPE is much like a flashlight that's lost contact with its batteries. It means communication or the ability of images to be sent to the brain via the optic nerve has been cut off. The condition requires that the retina be reattached quickly by a retina specialist to save the tissue and to save one's sight. The longer one waits to have treatment the less chance there is to save one's vision.